December 12, 2014 December 8, 2014 / Julie Brook, Esq. Yes, drafting a contract takes a lot of work. But it generally takes less time to draft a contract document that advances your client’s interests than it does to modify another party’s document to achieve that result. So whenever you have the opportunity to be the drafter, take it—and follow these four steps to drafting a contract to your client’s benefit. Draft to your client’s favor, but don’t push it. 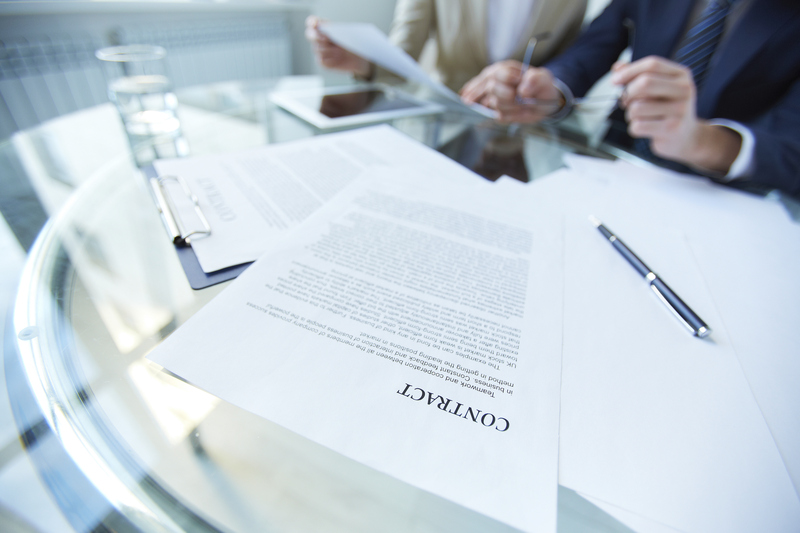 The contract should accurately state the contracting parties’ business agreement, but as the drafting attorney, you’re in a position to prepare the first draft to favor your client on major points not previously addressed by the parties. But don’t overplay your hand; it can be obvious and create ill will. Consider the contract’s expected audience. The contract document may be technically perfect, but if the parties who will sign it and the others who may be affected by it can’t understand or apply its terms, you’ll have failed in your task. Use plain English to be sure that the contract you’re writing is in a language that the parties can read and understand. Make sure the contract is consistent and complete. Few attorneys sit down at a blank computer screen to draft a contract document from scratch. Most attorneys refer to form documents from their files and make changes necessary to create a new document that reflects the parties’ current agreement. Other attorneys adopt a “cut and paste” approach, adding language from a variety of samples or sources. If the document you’re drafting is derived from several different sources, you must diligently edit it for consistency and completeness. And verify that defined terms are used consistently and correctly. Start with a well-written contract. It’s easier to negotiate a good contract document when the first draft is comprehensive and well written. If you prepare a disorganized, poorly written first draft, the other parties will waste time struggling to understand it instead of working out the terms of the transaction. If the parties spend too much time on ministerial issues, they may overlook major issues. Also, the final product may be choppy and confusing because of the attorneys’ different writing styles and attempts to close gaps in the logical flow of the document. For practical guidance on all the mechanics of contract drafting, turn to CEB’s Drafting Business Contracts: Principles, Techniques and Forms, chapter 1. The advice by the author on the drafting of contracts will find appeal especially with South African readers, in that amendments to SA Labor Legislation will be in effect from 01/01/2015. The amendments introduce radical changes to the law pertaining to ‘temporary employment services’ [labor brokers], ‘fixed-term’ contracts and ‘temporary employment’. As a consequence contracts would have to be amended in order to incorporate the amendments. The advice contained herein would be of assistance to the drafters. As a corollary to steps 1 and 2, remember the business practicalities behind the contract. It is not a law school exam. It is something that your client has to be able to share with his client/business partner/owner without risking the relationship. Business relationships are tricky, so understanding how much leverage your client has in the game, what their long-term interests are (is this a one and done, or do they want to work with this party again? ), etc are just as important as anything else. For example, I help an engineering company negotiate owner-drafted master service agreements for municipal work. They only have so much flexibility with the municipality, and I know that, so I don’t recommend unrealistic things that they cannot get. I tell them the risks of certain provisions, how they could be reduced, and let them make the business decision accordingly.